UK correspondent Peter J Cooper reports on the world's premier aerospace business event. Peter Clark takes a look at Jim Schmidt's very rare bird. The Antonov An-124 Ruslan continues to capture the imagination of the world since its Western debut at the 1985 Paris Airshow. One recently visited New Zealand and Peter Clark climbed aboard for a look at this mammoth of the skies. Fletchers, doors and Nine-Five-Fours. By Ray Deerness. Bud White offers an opinion on the importance of the CAA vs Presland case. Additions, deletions and amendments to the NZ civil register. By Dave Paull. Bowler hats and cholesterol by Dr Ross Ewing. 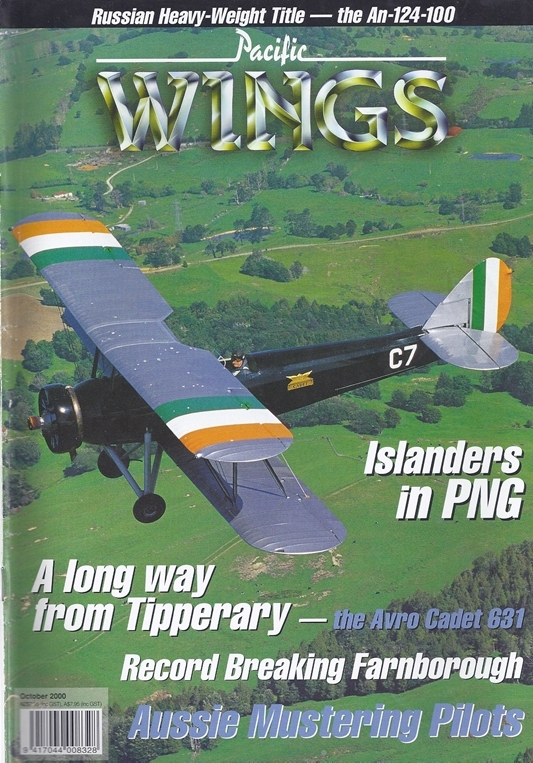 ACFI for Waikato Aero Club, Alan Breen, writes of his recently restored Piper Twin Comanche.